By itself, ayahuasca as a transformational medicine offers us profound opportunities for spiritual awakening, physical renewal and reconnection to the most important aspects of life and nature. Journeying with the vine of souls is unlike anything else in this world, and while many have shared their personal stories of harrowing nights in ceremony, another chief aspect of this medicine tradition is less often discussed: the valuable lessons to be learned from time spent with traditional plant medicine masters. 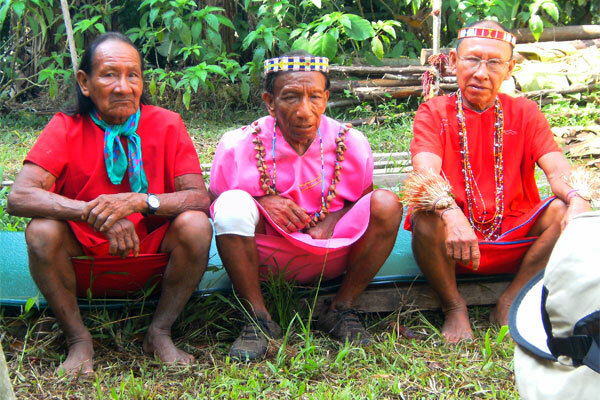 I have been blessed with the good fortune of spending time with and learning directly from Secoya elders, who are the torch-bearers of a unique lineage of spiritual masters in the upper Amazon. Their tradition, that of Gods Multi-Colored People, as they know it, is the longest un-broken and non-syncretic tradition of working with the sacred brew Yagé, or Ayahuasca. The attitude, demeanor, habits and character of these ‘abuelitos’ symbolize the simple purity and deep peace that may be found with dedication to this spiritual path. Reflecting on my time spent with the Secoya, I’ve realized that many of the best lessons come not when they are teaching, but when they are just being themselves. 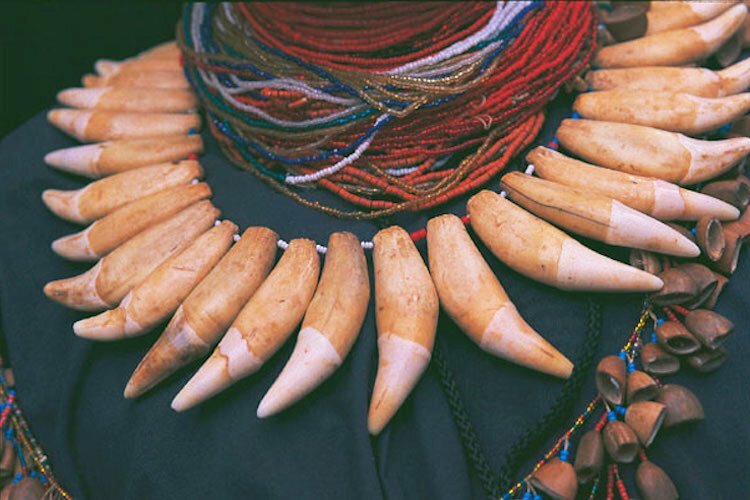 Here are 9 simple rules for living, as learned from proper Yagé shaman of the Amazon. 1. Abundant laughter is the hallmark of spiritual achievement. Laugh first and laugh often. 2. All life is beautiful and priceless, and even the most pitiful or comical of creatures is infused with the sacred. 3. Always be productive in the service to others, and even if all you can offer is a smile, your positive contribution is important. 4. Love everyone equally, for we are all equal in spirit and life. 5. Silence is golden. Communicating without speaking is more penetrative than attempting to express the infinite with language. 6. It is in stillness you will find that which you seek. The ability to highly control one’s impulses is the key to spiritual advancement. 7. Gentleness is often more powerful than force. 8. Sincere dedication to spiritual development is the highest calling in life. 9. Follow nature instead of following man, for the lessons in nature are universally true and infinitely pure. As Ayahuasca continues to push its way ever further into the consciousness of contemporary society, the brew may be available for us to drink, but the presence of traditional elders is fading. The transmission of their priceless cultural knowledge is still happening today, however, and in honoring their presence there is much we can learn about how to live a good and productive life in harmonious balance with nature. In the following video, ethnobotanist and conservationist Jonathon Miller-Weisberger explains some of the ways in which the Secoya tradition is so unique. Dylan Charles is a student and teacher of Shaolin Kung Fu, Tai Chi and Qi Gong, a practitioner of Yoga and Taoist esoteric arts, and an activist and idealist passionately engaged in the struggle for a more sustainable and just world for future generations. He is the editor of WakingTimes.com, the proprietor of OffgridOutpost.com, a grateful father and a man who seeks to enlighten others with the power of inspiring information and action. His remarkable journey of self-transformation is a testament to the power of the will and the persistence of the human spirit. He may be contacted at [email protected]. This is ubnfortunately NOT agood video of ayahuasca. And, it should be noted that ayauhasca has VERY diverging unique traditions across teh ENTIRE Amazon asin is NOT limited to Peru. Colombia, Brazil and Ecuador ALL have their own unique approach to working with “La Madre” and there are many many excellent ayahuasqueros. The elders are called abuelos – not abuelitos. If this video is meant to be an education viedo, it is misleading because you CANNOT speak about ayahuasca w/o mentioning the VERY real dangers of brujeria (black magic) practiced by the ayahuasqueros themselves. Amaringo notably STOPPED being an active ayahuasquero and turned to painting because he was being purused by a powerful female black magician and it got to the point that if he would have continued, either one of them would have ahd to die. One of the BEST documentaries I’ve seen on ayahuasca that is a lot more comprehensive and of MUCH better audtory quality is “D’autres mondes” (Other worlds) by Jan van Kounen, a Belgian film maker. This video is NOT representative of ayahuasca’s rich Amazonian traditions and should be replaced by avideo that is more accurately depicting the various traditions INCLUDING the very real issue of black magic under ayahuasca. Thank you for bringing this issue up for debate Hanami. You are 100% correct. What you wrote is true and I will add it as warning to all our Ayahuasca articles posted in this website. However I would like to add that people should be careful not to mysticize nature. There is no functional thinking in people who have a mystical or a mechanistic approach. People should focus on functionality in order to be truly in harmony with nature. Don’t get me wrong. I support people when they animate nature according to their own sensations and functions but not when they form a mystical, supernatural idea about it. ,,, and then there is what I just became aware of: total balance in everything.